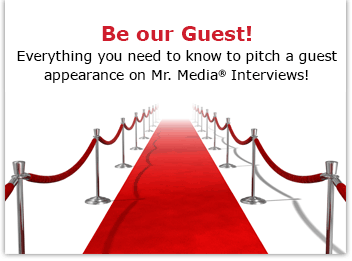 Mr. Media is recorded live before a studio audience of blacks and whites living together in harmony – seriously, they’re right here in my living room, humming the greatest hits of Run DMC and the Beastie Boys, so loud I can barely concentrate on my typing… in the NEW new media capital of the world… St. Petersburg, Florida! That’s the opening line of author Deborah Davis’s amazing new book, Guest of Honor: Booker T. Washington, Theodore Roosevelt, and the White House Dinner That Shocked a Nation. 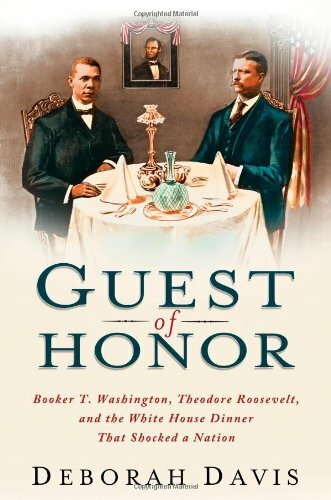 At its essence, Guest of Honor is about Booker T. Washington becoming, in 1901, the first African American to be a dinner guest of a sitting president in the White House. That simple meal between old friends set off a raging controversy, only 35 years past Abraham Lincoln’s Emancipation Proclamation declaring the end of slavery. I have always had a fascination with the history of the modern American presidency, so this book had an instant appeal to me. It also dovetailed nicely with a new project I myself am working on, the autobiography of a remarkably successful graduate of Booker T. Washington’s Tuskegee Institute. But you don’t have to care about either of those subjects to find Guest of Honor a compelling page-turner. It drips with insight and color from the turn of the 20th century, hitting its highest note in the writer’s discovery of so many parallel personal tracks in the lives of Washington and Roosevelt. Best of all, for our often history-resistant population, this is a wonderful work that doesn’t require a masters in history to enjoy. Particularly interesting is the way the roles of the Republican and Democratic parties have reversed over a hundred years; the Republicans, after all, were the party that freed the slaves; Southern Democrats were the ones who fought it every step of the way. Now it is the Republicans who are often seen as racists and the Democrats that elected and want to re-elect a black man to the presidency. Nice blog here i like it thanks for shearing!